Nov 03, 2017 in "Holidays at the Magic Kingdom"
Counting down to “25 Days of Christmas,” “The Wonderful World of Disney: Magical Holiday Celebration" premieres on Thursday, Nov. 30. Then, as part of “25 Days of Christmas,” “Disney Parks Magical Christmas Celebration” airs on Christmas morning, Monday, Dec. 25. 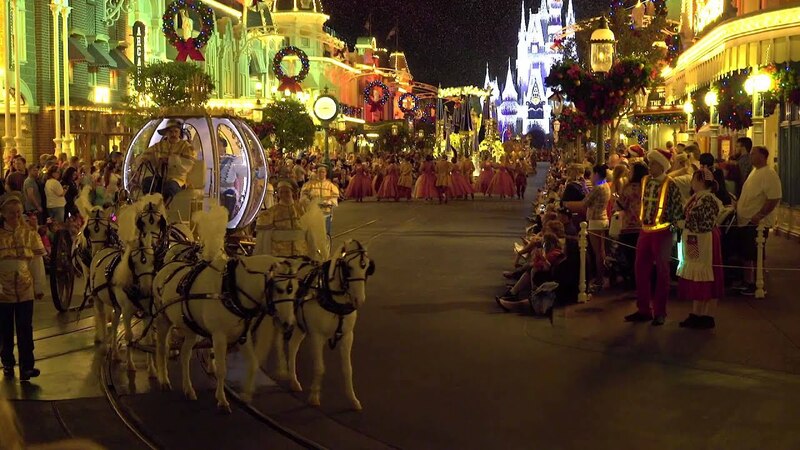 Read more about operational impacts to Walt Disney World during the production of the shows. Join Emmy Award winner Julianne Hough and multiplatinum recording artist and television personality, Nick Lachey, as they host the magical two-hour event from the Walt Disney World Resort and Disneyland Resort. They join co-host, Jesse Palmer, to kick off the holiday season in a way only Disney can, showcasing incredible music performances, special appearances and some unforgettable Disney magic moments including an extraordinary castle lighting spectacular from Disney Parks around the world – traveling the globe from Lake Buena Vista, Florida, and Anaheim, California, to Paris, Shanghai and Hong Kong. 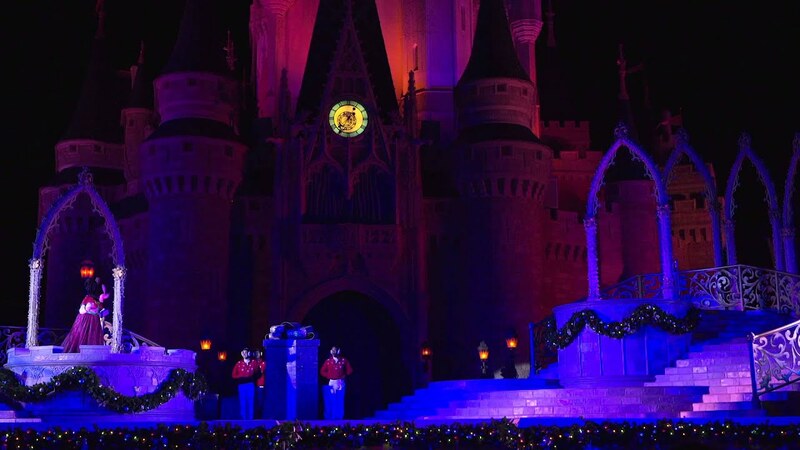 Ciara performs a joyful Christmas medley from Cinderella Castle. Multi-Grammy-nominated trio, Hanson, will light up the night singing “Finally It’s Christmas,” from their recently released Christmas album. 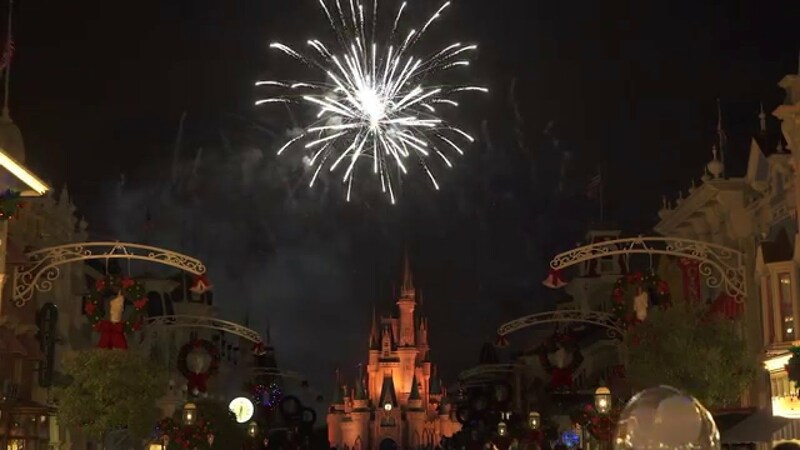 "Disney Parks Magical Christmas Celebration"
This Christmas, Disney Parks celebrates the joy of the holiday season, as hosts Julianne Hough and Nick Lachey take viewers on a magical ride down Main Street, U.S.A. and beyond. Co-hosted by Jesse Palmer, the Christmas Day celebration will be brighter than ever before, bringing together the beloved Christmas Day parade, magical musical performances, surprise celebrity guests and heartwarming family stories to celebrate the most wonderful time of the year. Ciara sings “Rockin’ Around the Christmas Tree,” from Magic Kingdom at Walt Disney World Resort. Jason Derulo sings “Silent Night” from Sleeping Beauty Castle at Disneyland Resort. 98° heats things up with their new song, “Season of Love,” from “Let It Snow,” their first full-length Christmas album in 18 years. The holiday specials are a collaboration by Disney Parks, ABC Entertainment and IMG.